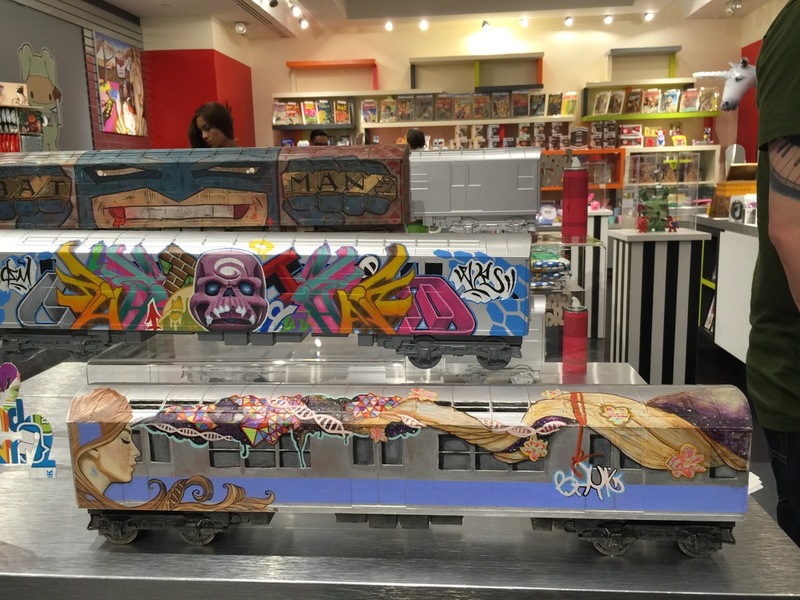 Great video by Kings of New York featuring the amazing lineup of All City Style trains in the original Tag the System group show which took place over 10 years ago at Toy Tokyo. 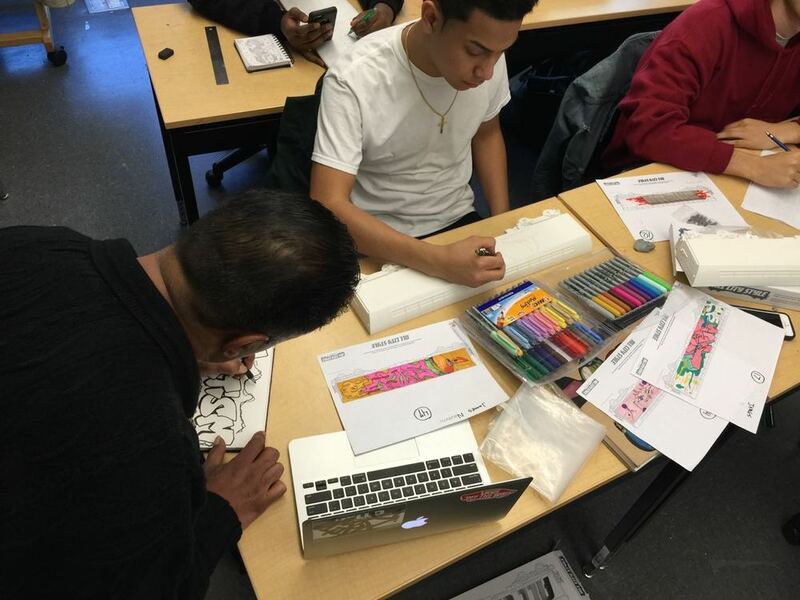 Klim's alma mater, High School of Art & Design, has launched a new program for its students where they get to design artwork for All City Style trains using our Training Page template (a free download on our website). 20 winners are then chosen from all the submissions, and each of those 20 students receive a free All City Style train to work on. 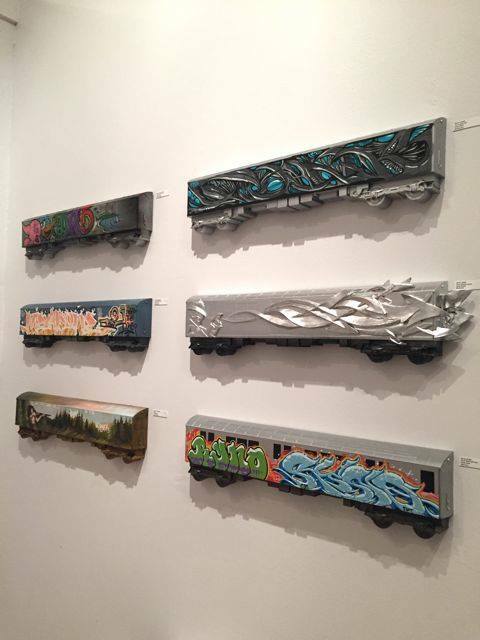 This show on May 19th is the opening night of an exhibition of those 20 completed All City Style trains, coupled with a panel discussion and a silent auction! Please come to the reception and join us in encouraging the next generation of artists as they start their journeys! RSVP required, click through to the Eventbrite RSVP system here. JOIN US FOR A SPECIAL EVENING RECEPTION AND EXHIBITION HONORING 20 STUDENT WINNERS OF H.S. 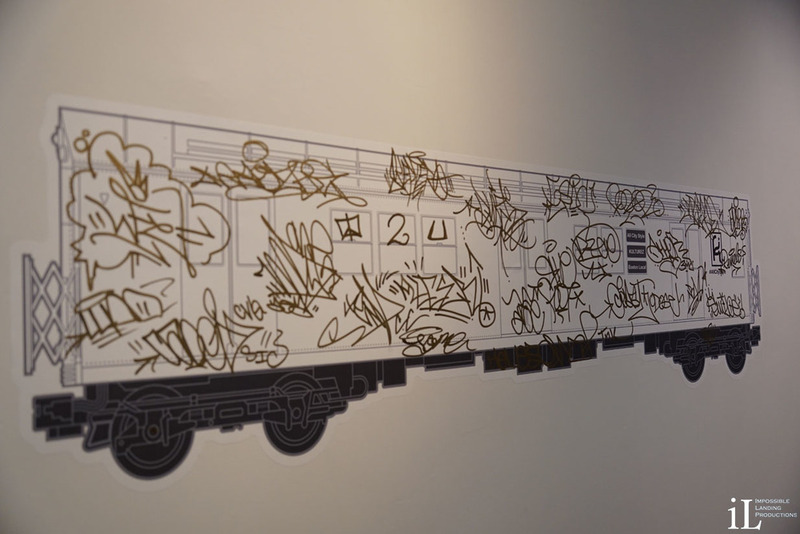 OF ART & DESIGN'S FIRST ANNUAL URBAN ARTS SUBWAY CAR SCHOOL-WIDE COMPETITION & CELEBRATING A&D'S HISTORY OF THE GRAFFITI ART FORM. the Students with the top design. Moderated by Author: Eric Felisbret (DEAL), "GRAFFITI NEW YORK"
ALL SUBWAY CARS FOR THIS EXHIBIT WERE DONATED BY ALL CITY STYLE AND DESIGNED BY KLIM KOZINEVICH, A&D ALUMNI CLASS OF 85. Light refreshments will be served, plus Tag your own All City Style train template. All funds raised for this event will support the Urban Arts Subway Car School Wide Competition annually. We are very pleased to announce that All City Style will have a presence at ToyConUK 2016, thanks to the generosity of The Toy Chronicle crew! Representing All City Style will be one of the most talented and prolific All City Style artists, Gordon Smith aka Original Gee OTB. 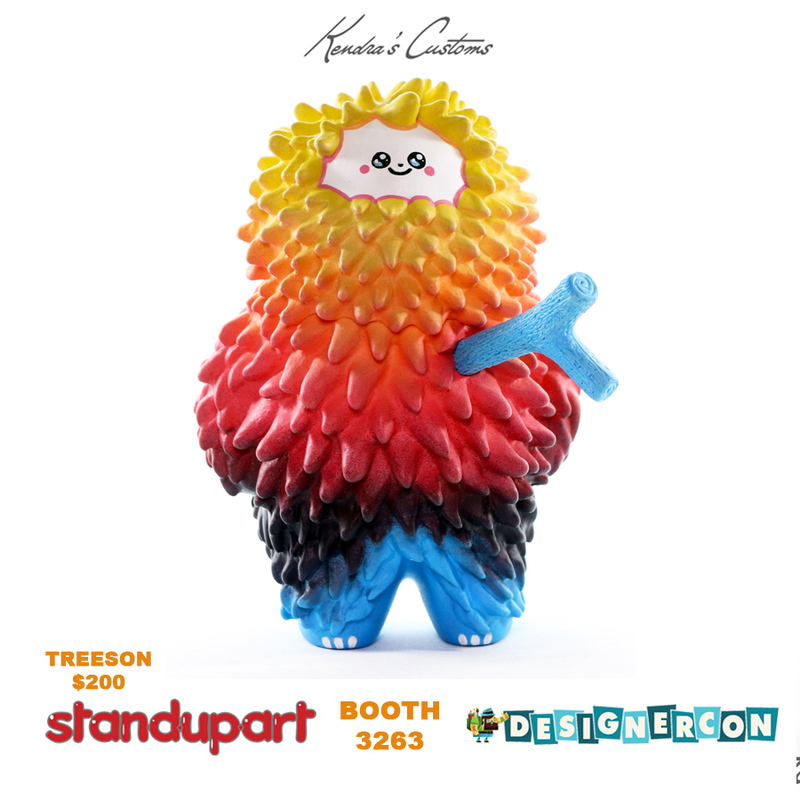 ToyConUK is the UK's biggest and best designer/art/collectible toy event, taking place on 9 April at York Hall in London, England. 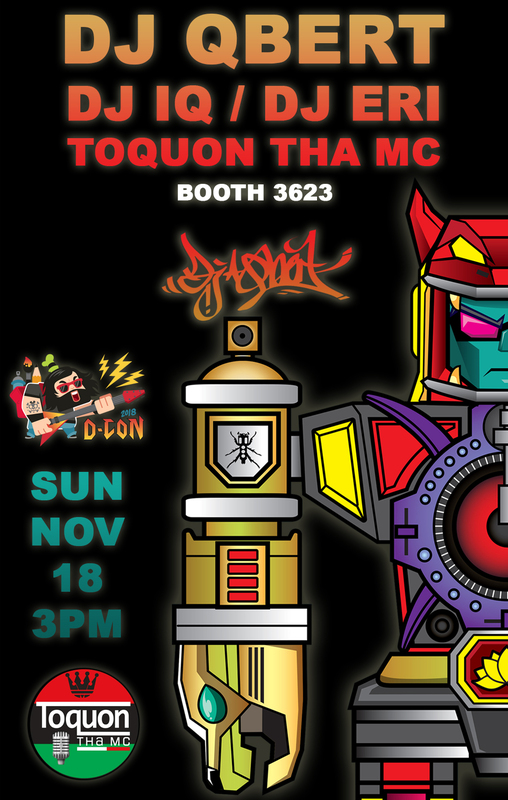 You'll be able to find Gee and his gloriously grimy painted All City Style Trains at The Toy Chronicle booths #1-3. 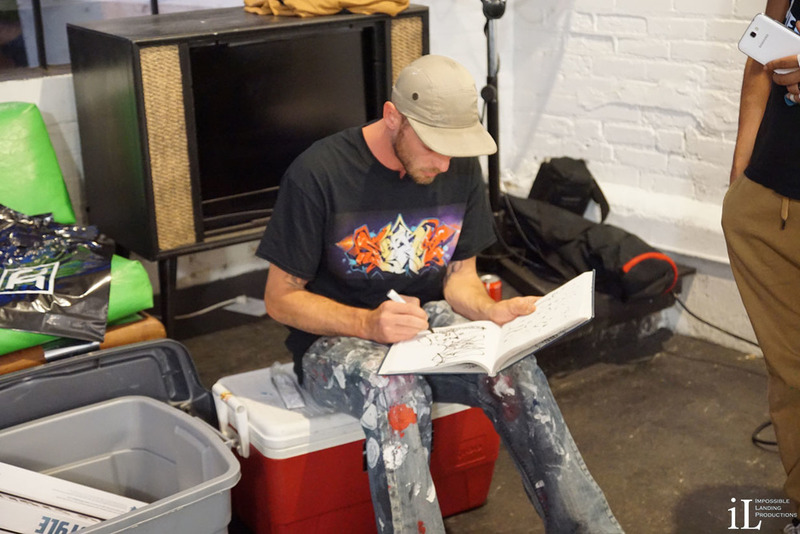 You might even catch him painting live! Gee will have his trains for sale and will also be accepting new commission work. 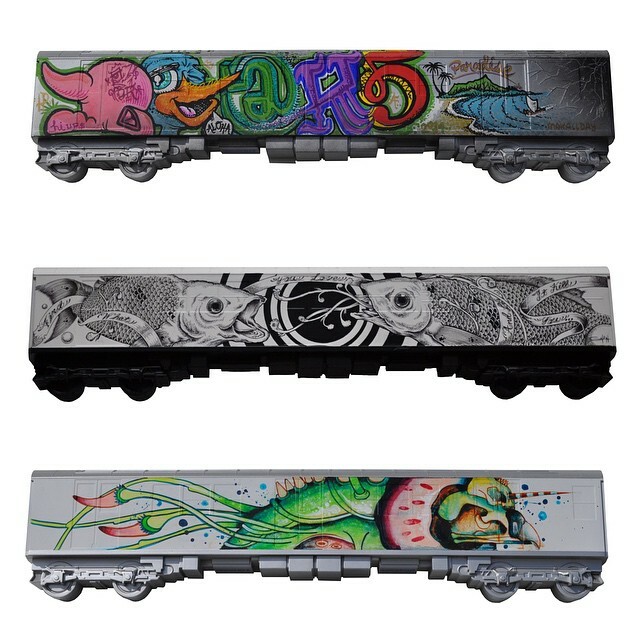 The Toy Chronicle will have a small quantity of the nearly-sold-out silver All City Style trains for sale, and make sure you stop by their booth and ask for one of the free All City Style wall graphics provided by our friends at Walls360. For ToyConUK ticketing info, click here. Original Gee OTB aka Gordon Smith has been bombing Kent since the 80s as a part of NRS (New Recks). 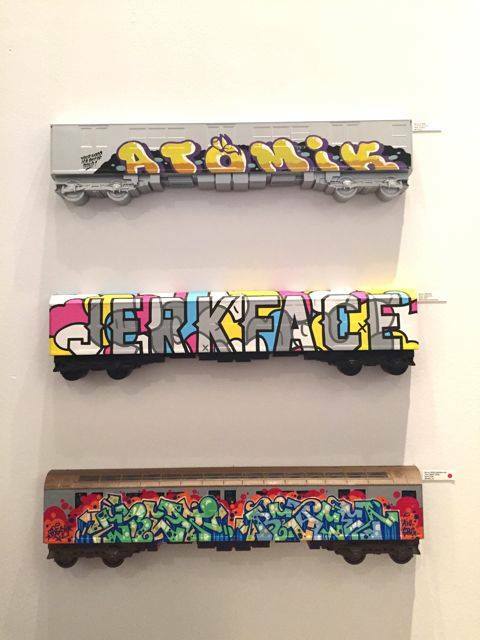 By ’89 Gee had to give up bombing trains after being caught one too many times… it was bombing, or jail. In the 90s, Gee continued his graff work in black books, while DJing and settling down to have a family. After 10 years of DJing, Gee was bored and needed a new hobby, so he picked up an airbrush and canvas. As social media became widespread, Gee started getting commission work for the first time. After donating a canvas to the 2011 Robbo fundraiser (which sold for £500 and attracted a lot of attention) Gee’s commission schedule get very busy. Gee had seen the All City Style trains and eventually found a source for them, with his completed trains proving to be a popular request from his customers. Gee bought more and more, and started stockpiling ACS trains to supply his business. His focus when painting is the old-school, historically accurate trains, so he won’t paint anything on a train that came out after the 1990s. 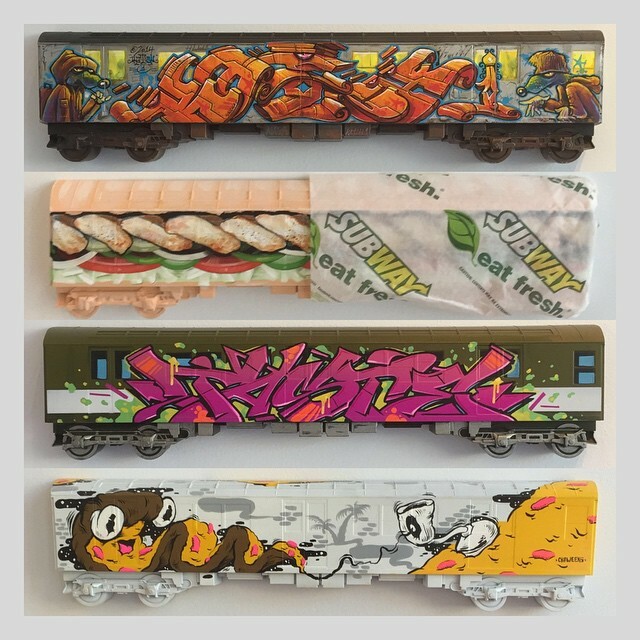 These days, customers seeking the grimiest, most accurately painted All City Style trains can contact Gee through IG (@gee1302) or his Facebook page to request commissions. 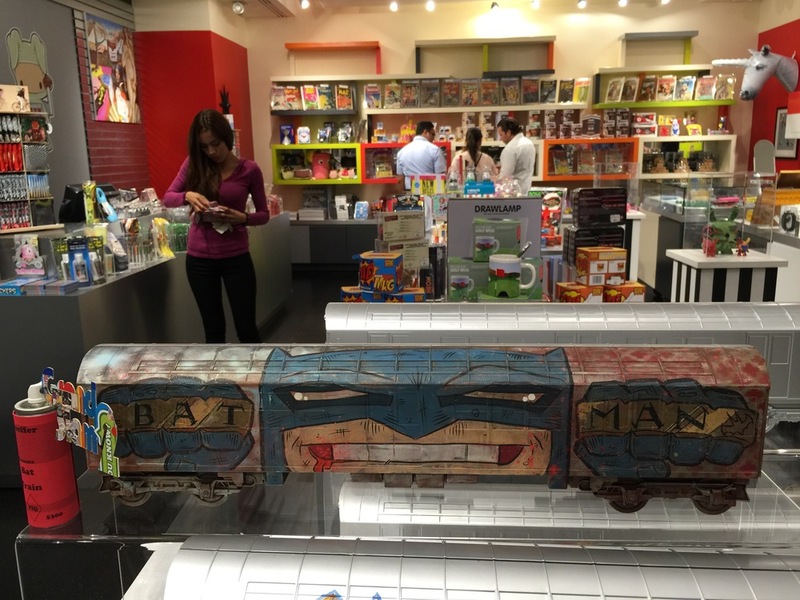 Customers can choose which color of train, how grimy, and what they’d like painted on it. 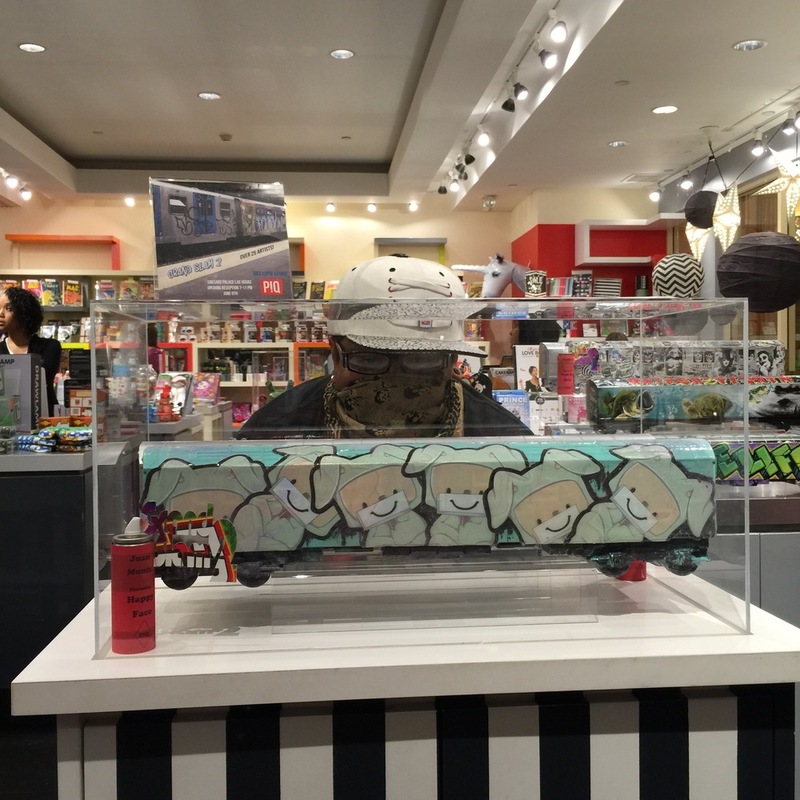 Gee does not sell recreations of classic trains like DONDI, SEEN, etc, painting those only for his own collection. Our friends at Walls360 have just announced a 20% off sale of all their color-able wall graphics for this month only! Use code COLORING360 when you place your order to get 20% off of your All City Style wall graphics (and all the other awesome graphics in this promo!). 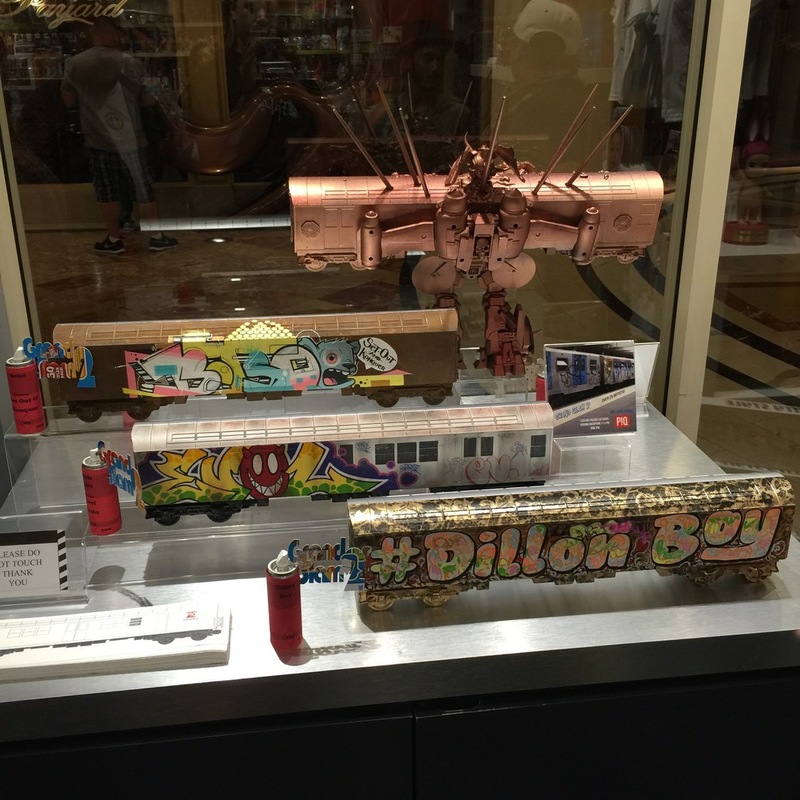 All City Style Trains by Bigshot Toyworks Win Designer Toy Awards "Best DIY Platform of 2015"
We are very proud to announce that the All City Style DIY train platform has WON the 2015 Designer Toy Awards in the "Best DIY Platform" category! A huge thank you to all of the fans, collectors, artists and shops who have created, bought and sold some of the absolute finest collectible artwork on the market- All City Style! We are truly honored. 2015 was a year of fantastic ACS shows - Click on any of the entries under "SHOWS" in the nav menu to see pics from shows that we, and our retail partners, have put on. To put on your own show, email us at conductor@allcitystyle.com to inquire about wholesale purchases. We are very proud to announce that our projects were chosen as Finalists in not one but THREE categories in this year’s Designer Toy Awards! 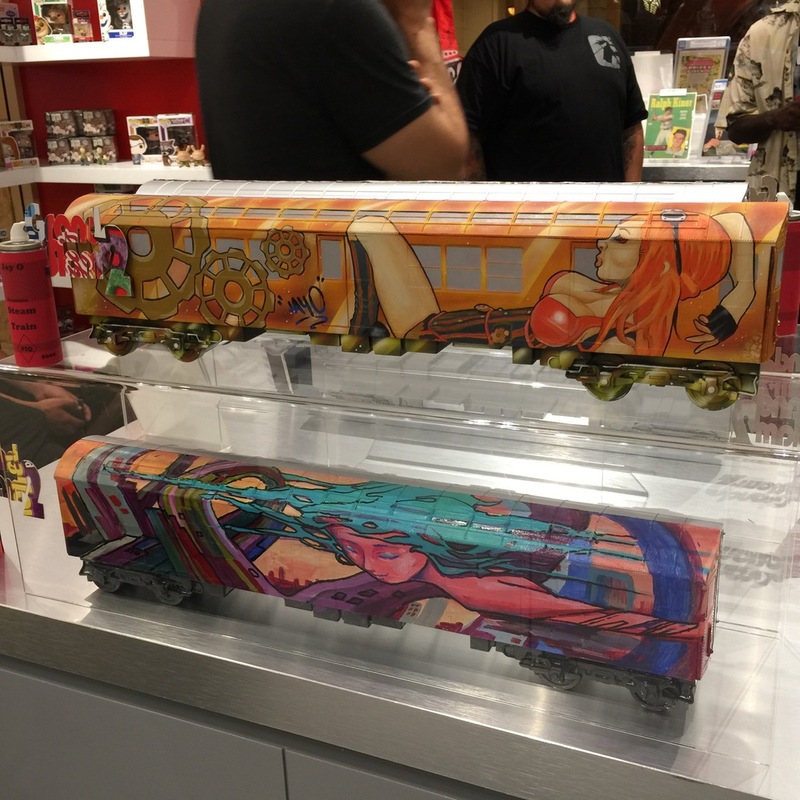 Our All City Style brand DIY subway train platforms were chosen as a Finalist in the Best DIY Platform category, and the Choices vinyl figure by our buddy Jermaine Rogers was chosen as a Finalist in both the Best Vinyl and Toy of the Year categories. Bigshot Toyworks developed the Choices figure in close collaboration with Jermaine Rogers based on his artwork, creating the digital sculpt and the prototype for the project. To place your vote in the DTAs, visit designertoyawards.com and log in/sign up to gain access to the voting. You've all been waiting for it, and the time is finally here! All City Style removable, restickable wall graphics are now available via the print-on-demand Walls360 consumer website! You pick which train and what size, Walls360 prints them super fast and mails your order to you! 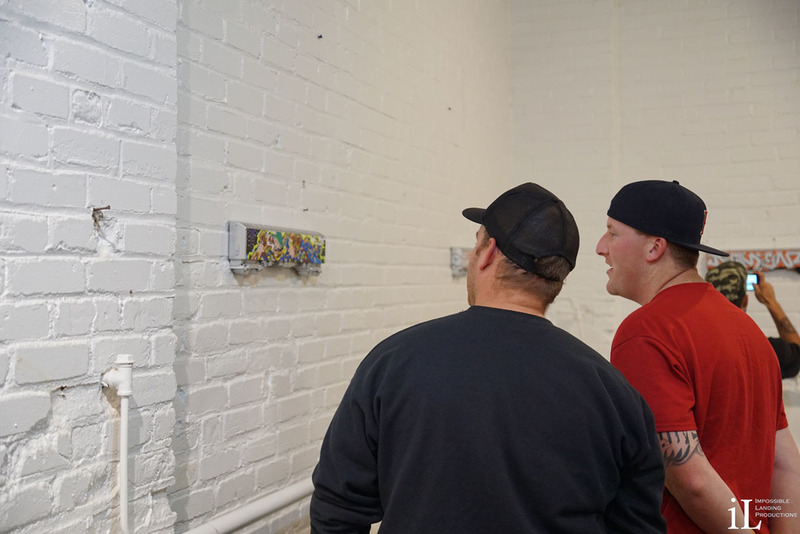 Shops, galleries and artists around the country have been destroying these wall graphics for the past few months as we obtained samples.... now you can get in on the madness too! We even rolled out a bunch of new trains for this release: Silver Streak is the classic silver/blue train, everybody knows the old-school Redbird, we recreated the yellow Work Trains and also threw in the White Elephant, the rarest of the rare! Choose graphics as small as 12 inches ($7 each) or as massive as 6 feet wide ($110) and several sizes in between! Walls360 even set up discounted 3-packs of the 12" graphics, and discounted 2-packs of the 2-foot graphics to save you more money! Check out the Walls360 blog post about this release to see more pics! Established in 2000, clinic116 is the ultimate store for all your hip hop music and graffiti supplies. They carry a broad range of markers, aerosol paint, caps, magazines, DVD's, books, vinyl, CD's, DJ tools, record accessories, T-shirts, hoodies and of course, ALL CITY STYLE trains. If you're in Adelaide, clinic116 is your joint. But you already knew that. For the rest of you, see map below. Crush City is a graffiti supply shop just outside Brisbane in Queensland, Australia. 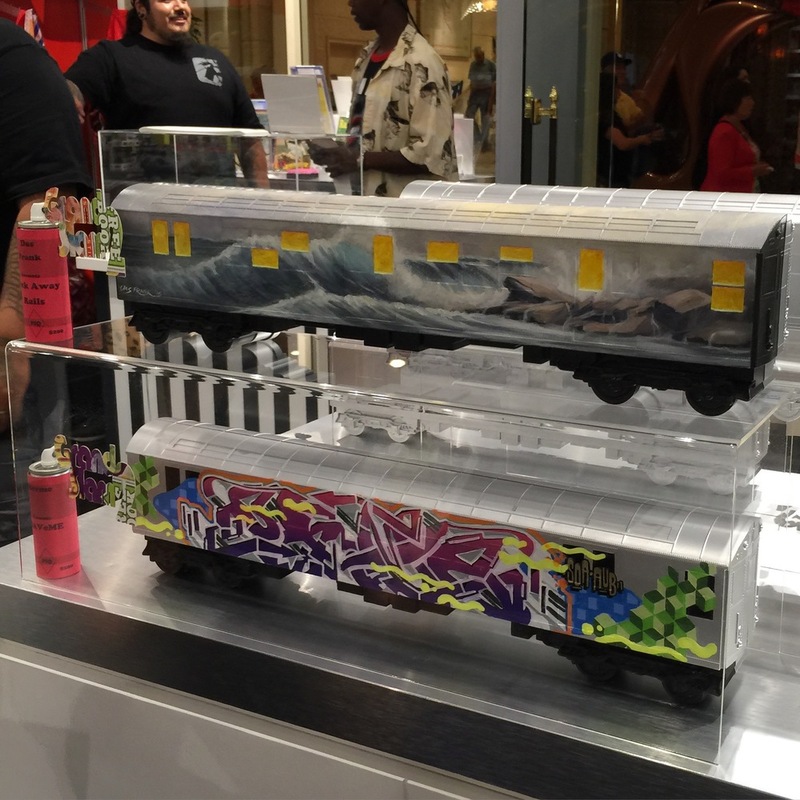 They have our All City Style trains featured prominently on their homepage and in their shop... above is an image from their shop of two of our clear Ghost Trains assembled and on display on their counter. Crush City is one of a handful of Australian shops with ACS trains in stock, and is possibly the only Australia ACS retailer with the Ghost Trains available! We only made 500 of the clear trains in the last production run, so they are very rare. If you're in QLD, this is your one-stop shop. You can also pick up your supplies of Ironlak, Montana, Krink, Molotow and a mess of other paint brands in their shop. 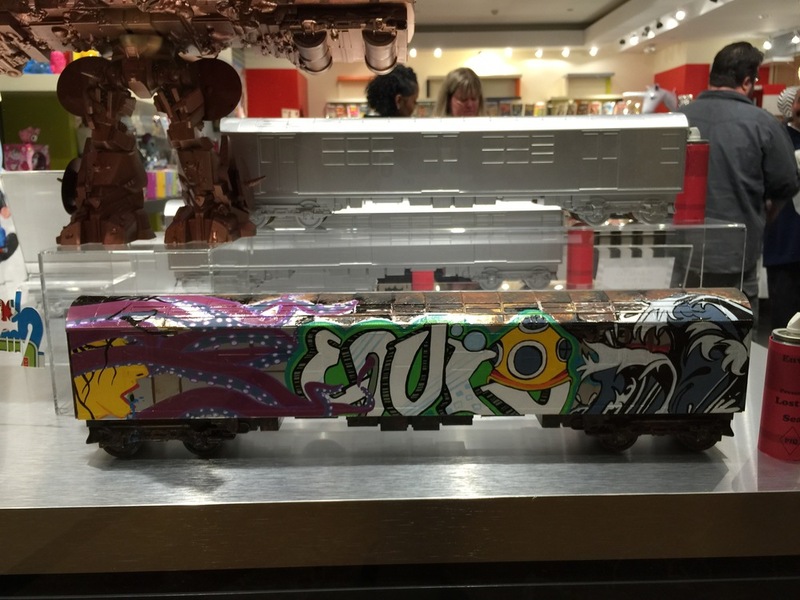 Very cool to see our trains displayed with the paints. Thanks Crush City for the photo! 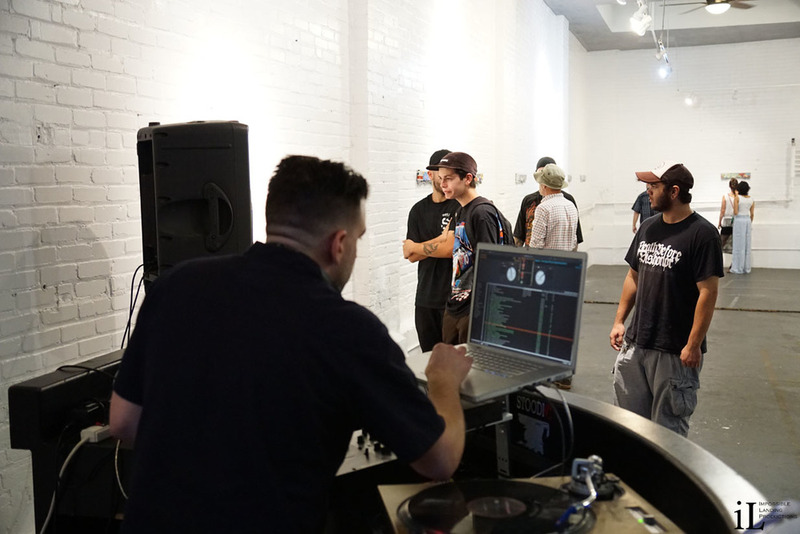 Last weekend's Under the Bridge All City Style show and contest looked like a helluva good time. 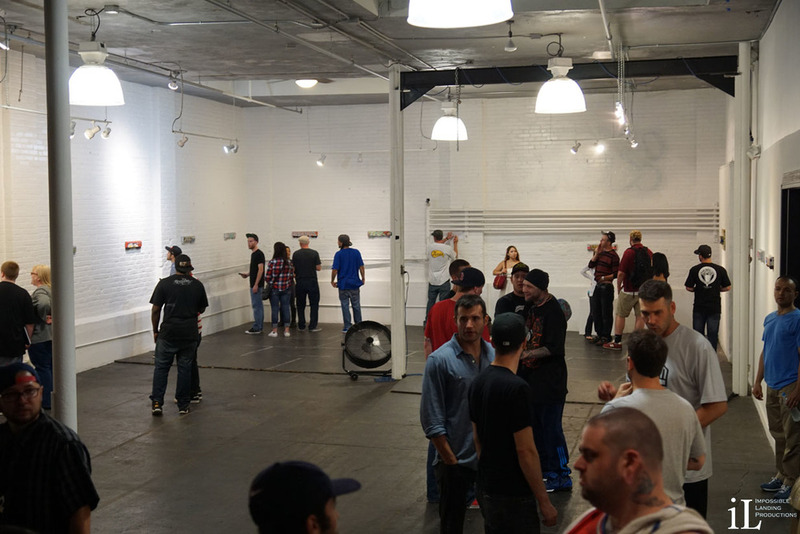 Sponsored by us, 12oz Prophet, and Pabst Blue Ribbon, wall graphics by Walls360, and photography by Impossible Landing, this show was thrown by our retail partner Kulturez at local establishment The Uniun in Somerville, MA (next to Boston). 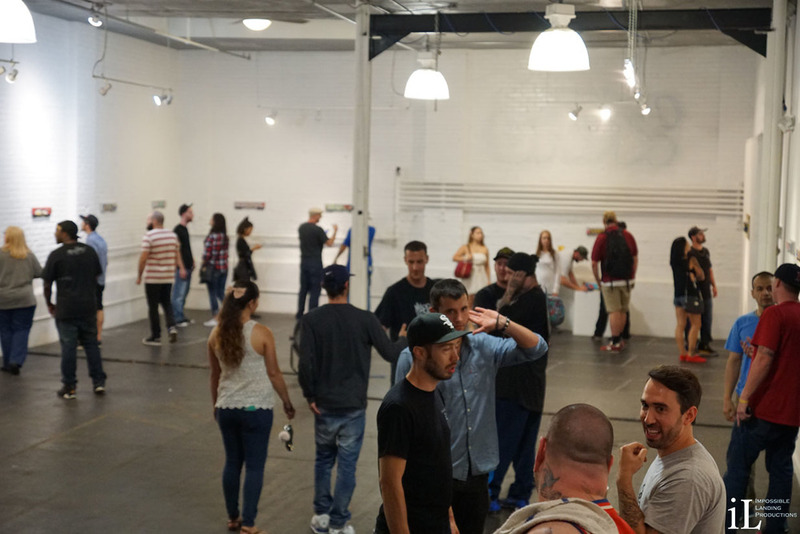 With a big turnout, tons of amazing painted All City Style trains, a DJ spinning, a professional photographer and even a cash prize, this was a notable show! We are looking forward to more great things from Kulturez, go check their site for info on their next show. 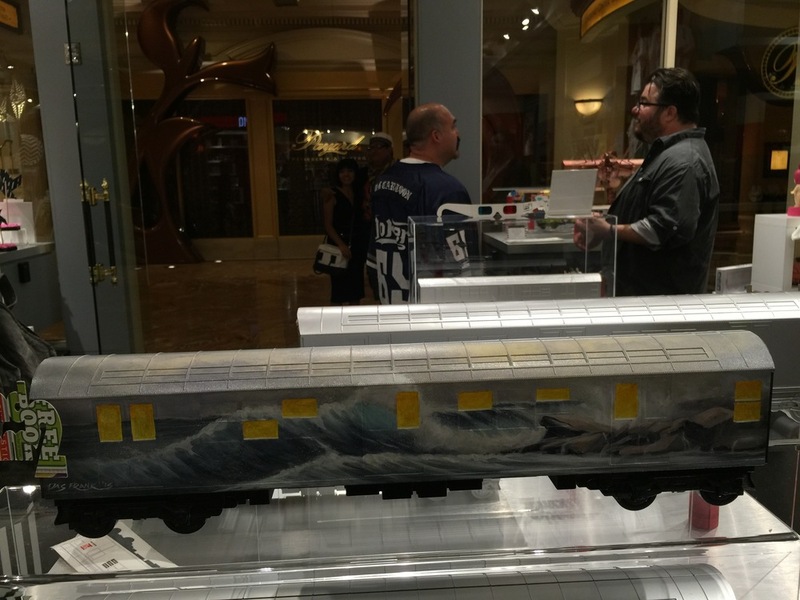 Here in this post we will show you shots from the show's opening night party - to see images of all of the trains in this show, click here. More pics of the trains in this show here. Hours of Operation: 9:00 A.M. to 11:00 P.M.
Our retail partner Kulturez is organizing an All City Style show and contest at The Uniun in Somerville, MA on July 11. With special guest artists COAST, HARE, SPEK, ICH, LIFE, TEMP, VISE1, JUS1, ETIPS and sponsorship by Pabst Blue Ribbon, this promises to be a great event! 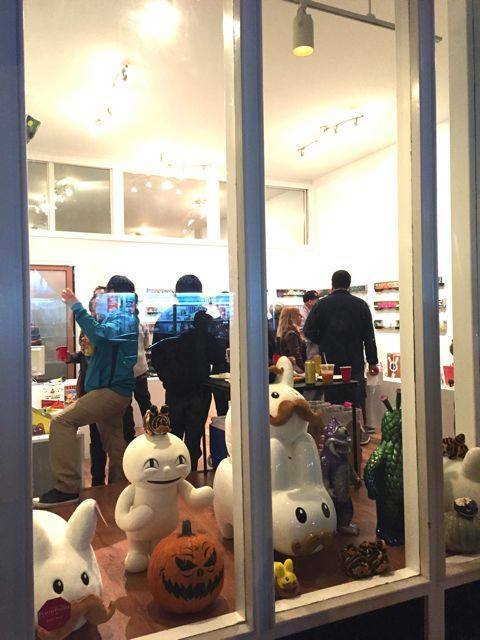 Derailed 2: Electric Booglaoo is currently running at Wootbear Gallery in San Francisco! 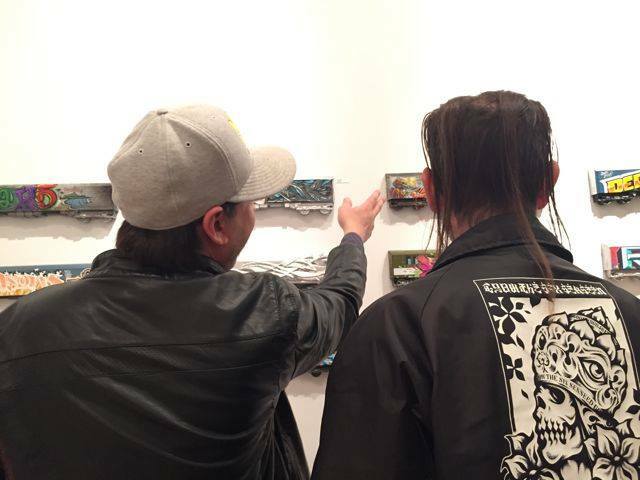 The pieces in this show look amazing, showcasing a wide variety of different styles and creative expression. 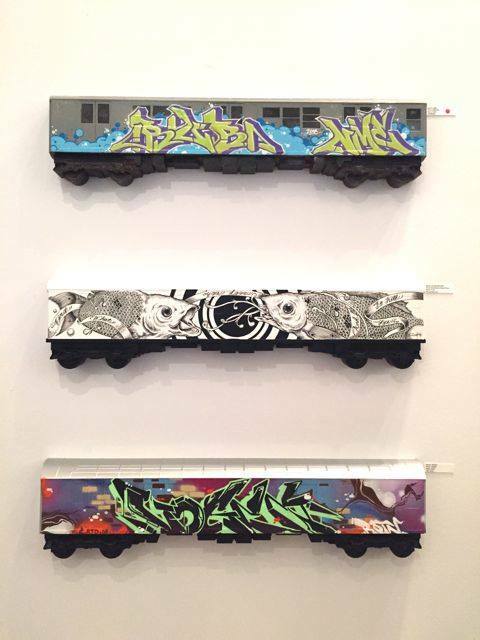 These pieces exemplify the essence of what we are aiming to achieve with the All City Style blank train platforms. 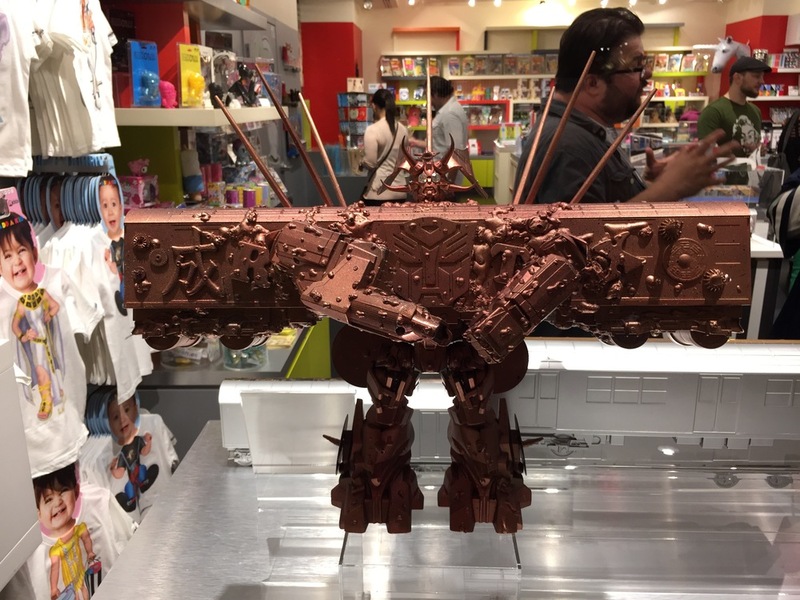 Kudos to our retailer partner Cardboard Spaceship for curating an excellent show. 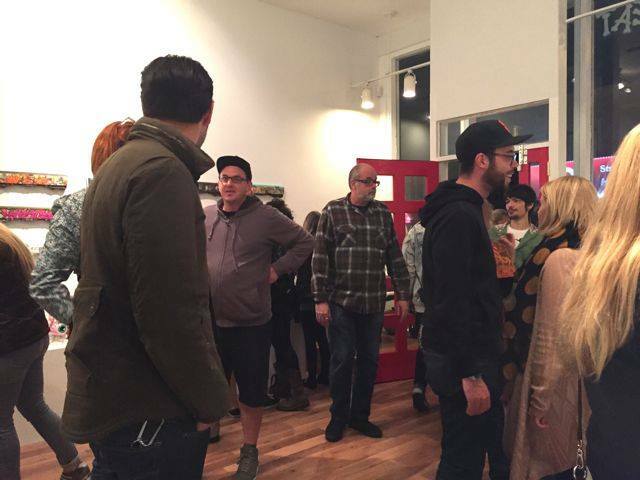 If you're in San Francisco between now and November 30th, pop over to 147 Clement Street to take a look for yourself.